When my beautiful large pink rhododendrons in Middle Garden start flowering the huge blooms seem to last forever. How large will these two shrubs get? Oops - I wish they had come with a label. They arrived years ago as two neglected little plants, and now are twice as tall as I am, reaching high into the sky above Middle Garden. Some years ago when Middle Garden was first planted it was a bargain bin plants paradise, and these majestic shrubs took their time (several seasons) before showing me their flower colour. 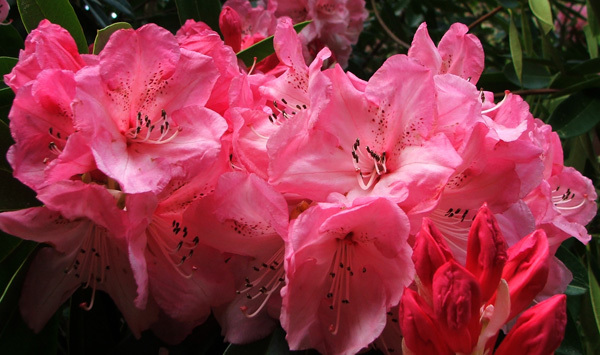 At one time there can be so many different shades of pink in this rhododendron's flowers. I find the pink colours really refreshing after the weeks of yellow from the Moosey daffodils. The various shades are subtle, too. 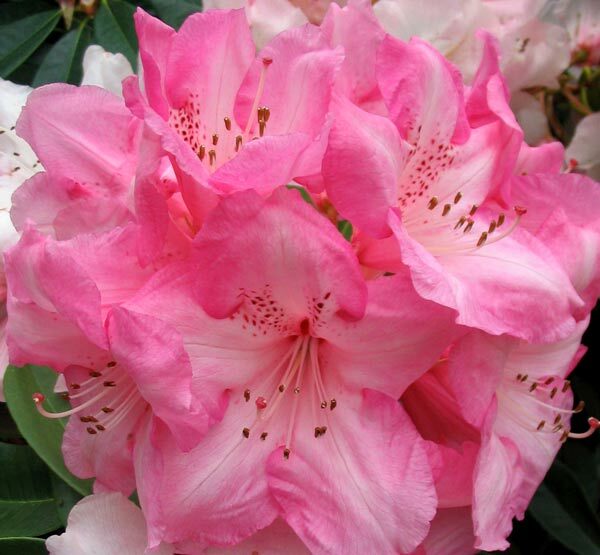 This eye-catching rhododendron starts flowering in the beginning of October and lasts for many weeks. I have no way of ever finding out this rhododendron's name. I suspect it will be some New Zealand hybrid, possibly raised somewhere in Canterbury. Anyway, good health and long life to my huge pink favourite!